On behalf of UPHRA and the Superiorland Chapter of SHRM, we are pleased to present the 15th annual H.R. 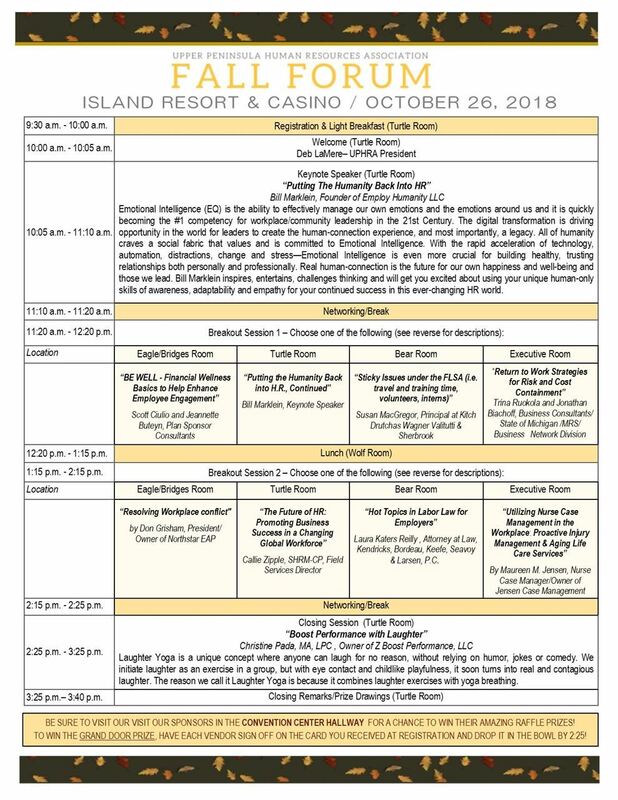 Fall Forum to be held on October 26, 2018 at the Island Resort and Casino in Harris, MI. The fall Forum has become the U.P. 's premier H.R. training event with a variety of information needed by any size organization in any field. Plan now to attend--this is an event you can't afford to miss! Please visit the full Fall Forum website found here for more details.